Early Eero Saarinen Walnut Tulip Table 96"
For your consideration is this rare and stunning "Gold Hill Chair" designed by Poul Hundevad in 1960. This model PH41 stool features a solid teak frame with original cognac leather seat. As can be seen in the photos the stool is in excellent shape, especially the leather sling, which is more often than not destroyed. 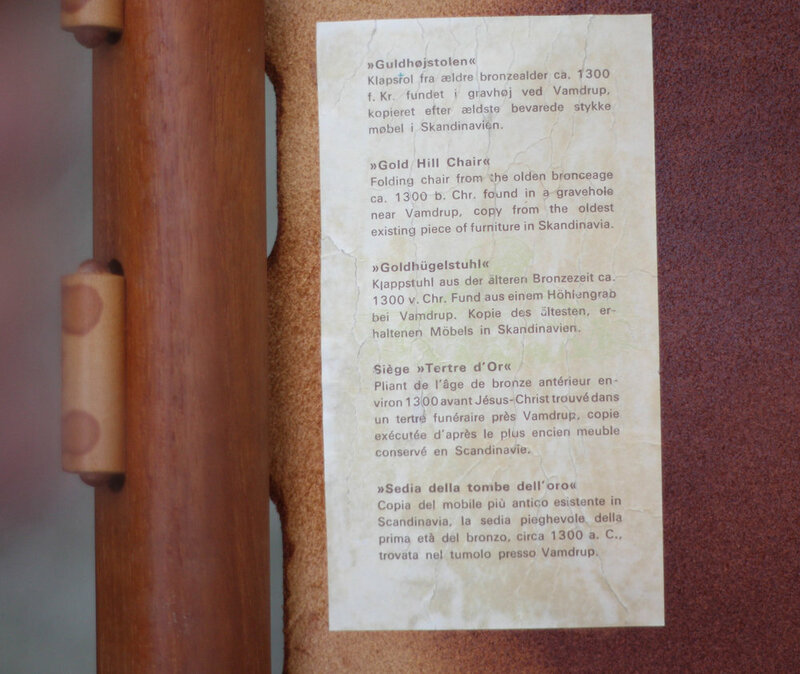 On the underside of the leather you will find a multi-lingual explanation for the chair which indicates this stool was designed as a copy of the oldest chair in Scandinavian history, dating back to 1300 B.C. 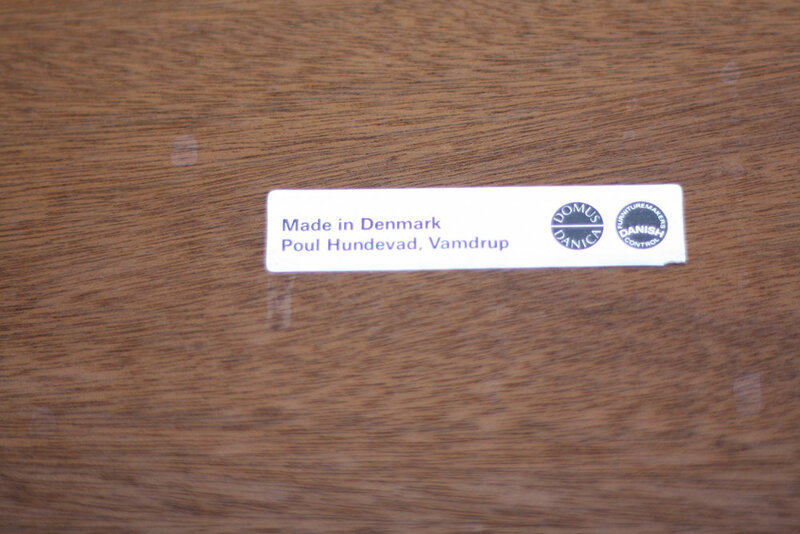 The most unique part about this stool, is that the original teak tray top was also retained (foil label still attached). The tray can be added to convert this to a useful cocktail/side table, with raised edges to ensure your drinks don't slide off. On the underside of the tray there are four curved feat which perfectly huge the corners of the stool to keep it in place. Amazing condition and a very rare piece for the true mid century collector.